I wish to begin by expressing my delegationâ€™s appreciation for the third biennial review of the implementation of the United Nations Global Counter-Terrorism Strategy (UNGCTS). We commend the immaculate manner in which H.E. Ambassador Ryshinksi of Canada and his team at the Canadian Mission led the review process. Afghanistan aligns itself with the statement delivered on behalf of the Organization of the Islamic Conference (OIC). 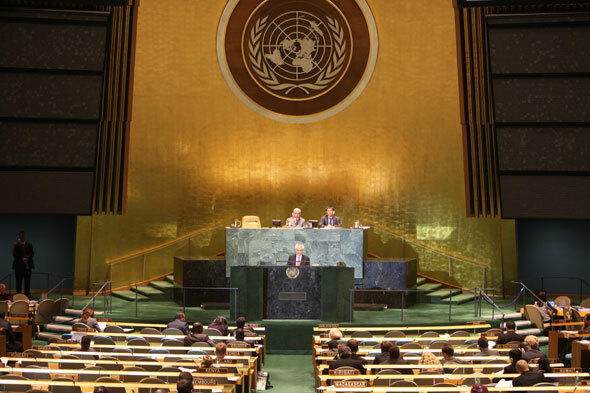 Almost half a decade has passed since the adoption of the UN Global Counter-Terrorism Strategy by the General Assembly. The milestone event was a manifestation of a collective international commitment to combat terrorism in all its forms and manifestations. That commitment was founded on the clear reality that this global menace recognizes no particular nationality, ethnicity, religion or region. We have seen it strike in all parts of the worlds, from South and Central Asia to the western hemisphere, and from Africa to the Middle East. The UN Global Counter-Terrorism Strategy is the overall strategic and operational international framework for combating terrorism. Comprehensive in nature, it provides an all encompassing approach: from preventing and combating terrorism to addressing the conditions conducive to terrorism; to strengthening the capacity of States and the United Nations to ensuring full respect for human rights as the fundamental basis of counter-terrorism efforts. 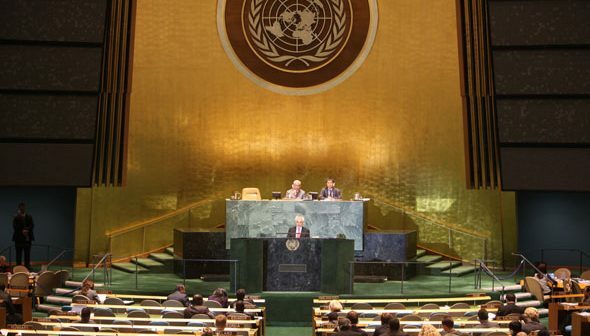 Recent years have seen noticeable progress in the context of the UNâ€™s implementation of the Strategy at the national, regional and international levels. The Counter-Terrorism Implementation Task Force (CTITF) has convened a number of important initiatives. These include regional workshops, in various parts of the world, such as those which took place in Southern and Eastern Africa; and South and Central Asia. In June of last year, the CTITF, partnered with the UN Regional Center for Preventive Diplomacy in Central Asia (UNRCCA) and the European Union (EU), to initiate a project which culminated in the adoption of a Joint Plan of Action by Central Asian States for the implementation of the Global Counter Terrorism Strategy. Afghanistan has been an active participation in a number of such initiatives CTITF sponsored initiatives, the outcomes of which has benefited our counter-terrorism efforts, whether at the national, regional or international level. Having said that Mr. President, wide-spread implementation of the Global Counter-Terrorism Strategy has yet to take to take place, and remains a challenge to many.Â Some contributing factors in this regard have been a lack of coherence among the relevant UN agencies dealing with terrorism, and overlaps in their activities, which too often have resulted in a bleak understanding on the part of member-states on whom to contact when placing requests for technical assistance in areas of need. It is in this context, we welcome the recommendations contained in the report of the Secretary General, including the proposal to create a United Nations Counter-Terrorism Coordinator for increasing coordination and coherence of the UN counter-terrorism activities. The establishment of the United Nations Counter-Terrorism Center (UNCCT) is an important development for strengthening the global fight against terrorism.Â Existing within the framework of the CTITF, we are confident the center will render an important contribution in helping to foster counter-terrorism cooperation, and building capacity of states â€“ two issues which are vital for real and substantial progress in the fight against terrorism.Â We express our appreciation to His Royal Highness King Abdullah bin Abdul Aziz and the Kingdom of Saudi Arabia for their efforts in making the center a reality. My country Afghanistan has long been the number one victim of terrorism.Â Each and every day, Afghan men, women and children wake up with the fear that another brutal act of terror will occur, killing or maiming another family member or fellow citizen. Terror and violence continues unabated in Afghanistan.Â Through suicide and roadside bombings, attacks on our clinics and schools, and some of our patriotic national figures, who served their country in honor and dignity for the cause of a prosperous Afghanistan. Regional cooperation is vital for a successful fight against terrorism.Â The regional dynamics of the terrorist threat facing Afghanistan is such that without addressing the continued presence of terrorist safe-havens and sanctuaries within our immediate region, we will fail to achieve a durable peace and stability. 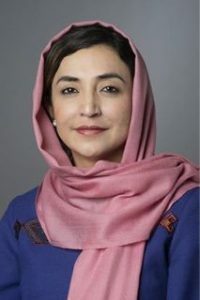 Afghanistan is firmly committed to defeating terrorism in all its forms and manifestations, and has, in this regard, spared no effort at the national, regional and international levels. Over the past decade, together with our international partners, we have significantly weakened the overall capabilities of terrorist networks. As a result of our counter-terrorism efforts, a considerable number of terrorists have been curtailed in their brutal efforts, and captured, while others are being pursued.Â Our state institutions have thwarted a significant number of terrorist plots across the country. Consistent with the process of Transition, the Afghan national army and police are assuming a greater role in all security activities across the country, including counter-terrorism operations. Our counter-terrorism policies are a key part of our national security strategy. To that effect, we have further strengthened our counter-terrorism legal framework. 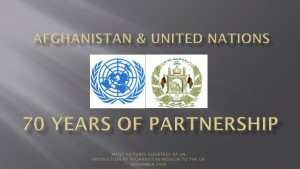 Afghanistan is party to 13 international conventions and protocols concerning terrorism, and we have adopted a multitude of national laws to combat terrorism and other forms of organized crime.Â These include the Law on Combating the Financing of Terrorism; the Law on Combating Terrorist Offences; and the Law on Combating Money Laundering. Afghanistan continues close collaboration with a wide range of relevant actors, comprising the counter-terrorism implementation task force.Â We are working closely with the three counter-terrorism committees of the Security Council: the 1373, Committeeâ€™ the 1267 Committee and the 1540 Committee. In this regard, we have submitted relevant national reports on implementation, the most recent of which was our 2nd report to the 1540 Committee. At the regional level, we are intensifying cooperation and dialogue with regional partners through bilateral, trilateral and multilateral regional processes to effectively deal with the problems of terrorism and extremism in all its forms and manifestations.Â Most recently, on the 14th of this month, we convened the â€œHeart of Asia Ministerial Conference in Kabulâ€ where Afghanistan and our regional partners reaffirmed our commitment to ensure peace and prosperity in Afghanistan and our region by implementing a broad set of confidence-building measures (CBMâ€™s), which include counter-terrorism cooperation. Afghanistan has for long been a strong advocate inter-religious and cultural-dialogue and understanding as an important factor strengthening global peace and harmony. The third the course of the third review, we, UN member-states, have emphasized, once more, the important role to be played by dialogue and tolerance among civilizationsÂ for a successful combat against terrorism. In this regard, it is essential to build on the momentum generated through various initiatives taken thus far. As a country that has been forefront in the fight against terrorism, Afghanistan has suffered immensely in terms of human and material loss. A significantly high number of Afghans, including civilians, tribal and religious figures, law-enforcement personnel and government officials have lost their lives as a result of terrorism. Â It was just last week that the Taliban brutally attacked a hotel just outside Kabul, and massacred 20 civilians in cold blood.Â Nevertheless, such attacks will not deter our commitment to achieving lasting peace and security.Â We are firmly committed to making sure that the sacrifices made along the way will not go in vain. Mr. President, Afghanistan will remain as resolute as ever in our fight against terrorism, and to implementing the UN Global Counter-Terrorism Strategy.